The hunt has opened. Give now to help seals and all animals. 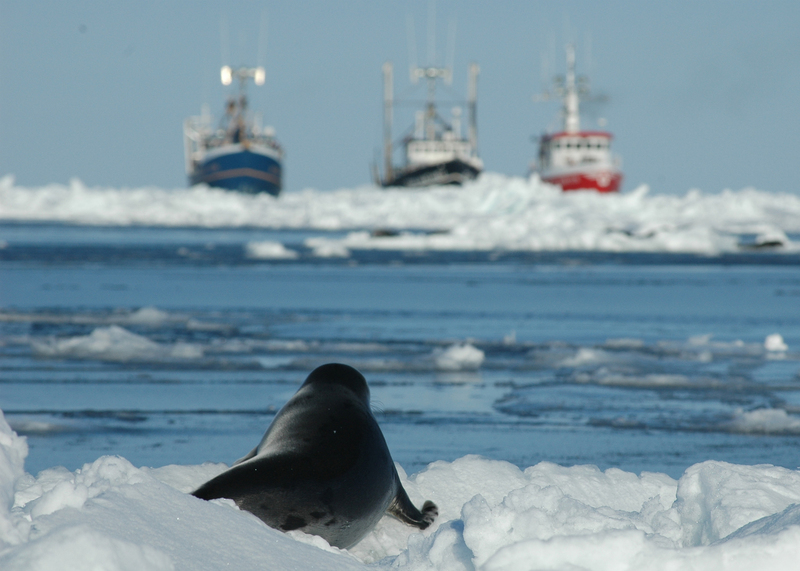 The commercial seal hunt in Atlantic Canada is one of the largest and cruelest slaughters of marine mammals on Earth. Each year, tens of thousands of baby seals, just weeks of age, are beaten, shot and skinned for their fur. The annual slaughter is cruel and wasteful, targets populations already impacted by climate change, and is economically nonviable. 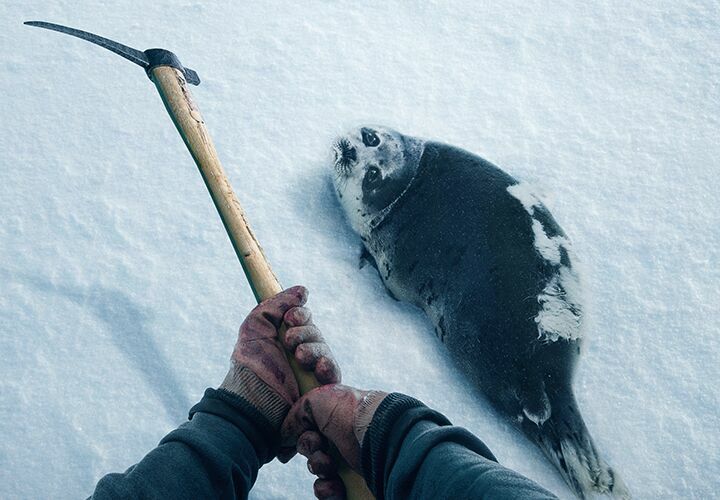 The commercial seal hunt primarily occurs far offshore in the northwest Atlantic, an extreme environment where consistent accuracy in shooting and clubbing is a practical impossibility. Many wounded seals escape and die a slow, painful death. Others are impaled on metal hooks while conscious, dragged across the ice and beaten to death on bloody boat decks. While enormous headway has been made in ending demand for commercial sealing products and millions of animals have been spared, much remains to be done. Veterinary studies conclude that killing methods in the commercial seal hunt including seal clubbing and shooting are inherently inhumane and the slaughter should be ended. Seal slaughter targets populations already impacted by climate change, which is fast destroying their sea ice habitats. Baby seal fur is the focus of the Atlantic Canadian commercial seal hunt, and the rest of the animal is usually discarded at sea. The few hundred active sealers in Atlantic Canada are commercial fishermen who typically earn a small fraction of income from slaughtering seals. Millions of people in Canada and worldwide have called on the Canadian government to end the commercial seal slaughter. The industry remains dependent on government subsidies. In recent years, millions of dollars have been spent on icebreaking for commercial sealing vessels and grants and loans for seal processing and marketing companies—all at taxpayers’ expense. The Canadian government could easily shut down the seal hunt—a dying industry—and replace it with economic alternatives should it choose to do so. Tell Canada to reject pro-sealing proposals! Help wildlife and all animals around the world.